The Auxiliary of Bethesda Hospital supports the work of Bethesda through fundraising and volunteerism. 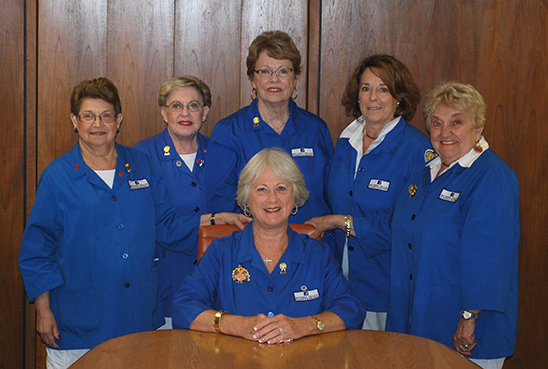 The purpose of the Auxiliary is to promote the welfare of the community through service and outreach programs. We raise funds for Hospital equipment, assist in Hospital capital campaigns, and provide Health Career Scholarship funds. We understand that patients heal faster when they are in a comfortable and caring place. Our service volunteers give their time to comfort and support our patients throughout the hospital. We even have a program for our smallest patients providing a keepsake hand-knit hat to each baby born at Bethesda. We raise revenue through services such as the Gift Shop and the Bethesda Bargain Box. The Gift shop is located next to the main lobby and has a wide range of gifts, flowers and toiletries for our patients and visitors. The Bethesda Bargain Box is a thrift shop located just off Atlantic Avenue in Delray Beach. We encourage everyone with a heart for Bethesda to stop by and check out our goods. If your house is too full to put one more item in it – you might like to donate extra items to help support Bethesda. For more information about the Auxiliary of Bethesda Hospital, call 561.737.7733, ext. 84467.